William Gear was born in Methil, Fife, in 1915. The son of a coal miner with a natural flare for painting, Gear attended Edinburgh College of Art between 1932 and 1936 where Samuel J. Peploe, the Scottish Colourist, taught him. After this Gear won a travelling scholarship that allowed him to spend three months at Leger's 'academie' in Paris. In 1940, Gear was called up to the Army. He was demobilized as a Major in 1947 and used his serviceman's gratuity to return to Paris. 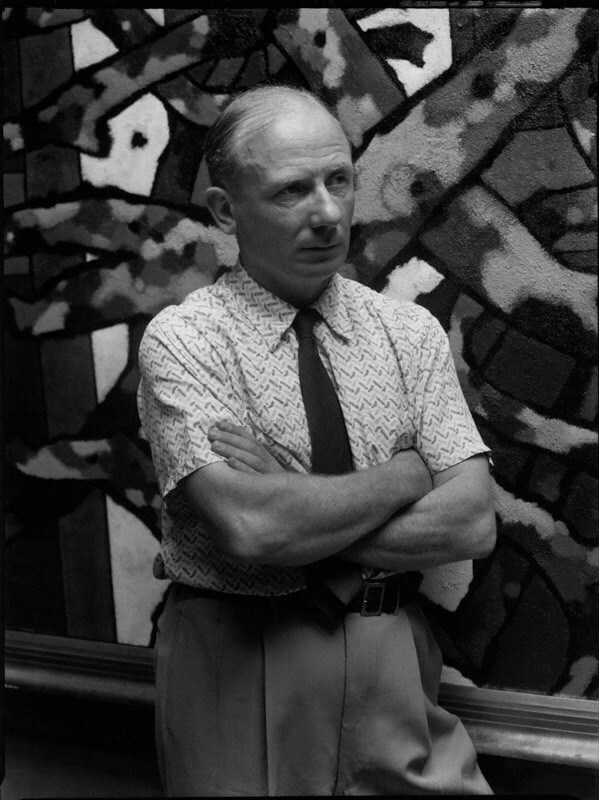 In 1948 he had a solo exhibition at the Galerie Arc-en-Ciel. The artist Stephen Gilbert visited this exhibition and consequently introduced Gear to the CoBrA group - with which Gear participated in three shows. From 1948 Gear exhibited with Gimpel Fils Gallery, London. After spending three years in Paris, he found himself yearning to return to Britain and an invitation by the Arts Council of Great Britain to contribute to the '60 Paintings for '51' exhibition proved the vital factor in his decision to move back to England. Between 1950 and 1960, Gear's art undertook a fundamental transformation. His championing of abstraction that had been a feature of his circle in Paris was fairly unusual in London in 1950, and Gear found his work compared alongside that of Victor Pasmore and Peter Lanyon's for its 'intransigence'. From 1953, Gear was a member of the London Group. Between 1958-64 he was curator of the Towner Art Gallery, Eastbourne, and from 1964-75 Head of Fine Art, Birmingham Polytechnic. William Gear died in Birmingham in 1997.